Based on the Columbus Ohio MLS, there is currently one home under contract in Cherry Hill Pickerington Ohio 43147. 710 Montmorency Dr. Pickerington OH 43147 recently went under contract in December 2013. This home offers 4 bedrooms, 2.5 bathrooms, and over 2,200 square feet. Features include a quarter-acre lot, two-story entrance, formal dining room, home office, full basement, and large first floor master. To read more about Cherry Hill Pickerington Ohio home sales, visit Home Sales in Cherry Hill Pickerington Ohio 43147. To view homes currently on the market in Cherry Hill, visit Cherry Hill Pickerington Ohio Homes for Sale. If you are interested in a Cherry Hill Pickerington Ohio home, be sure to contact Sam Cooper HER Realtors. 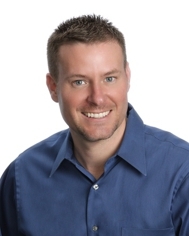 Sam Cooper is one of the top selling real estate agents in Pickerington Ohio! Call 614-561-3201!